Social media platform Twitter now has over 550 million registered users, 215 million of which are active on a monthly basis, quite an audience! An amazing 5700 tweets are posted every second!! With this level of activity there is a wealth of information to be absorbed and engaging conversations to be had. 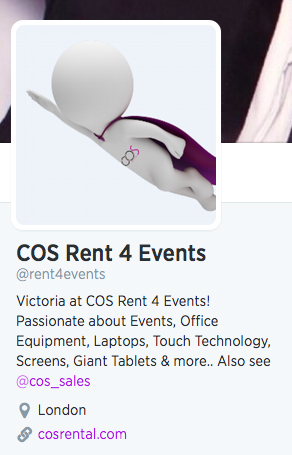 In the Events industry, that's where #eventhour comes in. #eventhour is the hashtag to group event industry discussion on Wednesday evenings between 9 & 10pm GMT, discussions are not strictly limited to this time, but this is when the discussions are at their most active. Who takes part in #eventhour? 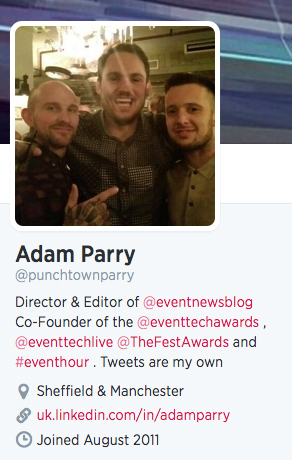 The great thing about #eventhour is the diversity of the contributors. Experience, job role and location vary so it provides a platform to interact with people who you may normally not get the chance to. We decided to speak to some of #eventhour's contributors to understand a bit more about their roles in the industry and why they love #eventhour! What is your current role in the industry? I am a freelance live communications, event marketing and production consultant. 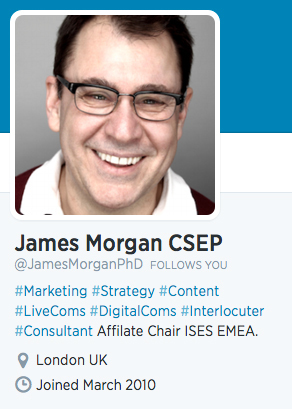 I am also Chair of ISES EMEA. I mange the 5 ISES chapters in the EMEA region. I am also a lecturer at the University of Westminster teaching on undergraduate and postgraduate courses in Tourism and Event Management. What would your one bit of advice be for someone looking to enter the industry? Re-purpose any skills you have that may be a benefit to an employer in the events industry. Why do you love #eventhour? The variety and geographic diversity of the participants. 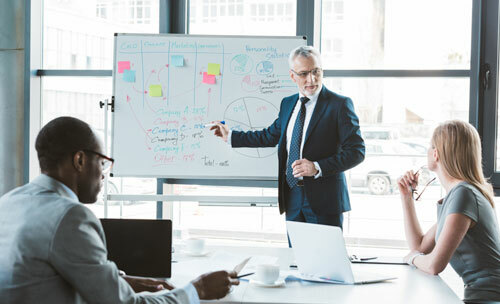 I produce internal events for a non-profit organization – specifically fundraising events and donor-centric experiences that strengthen the relationship between the donor and the organization. 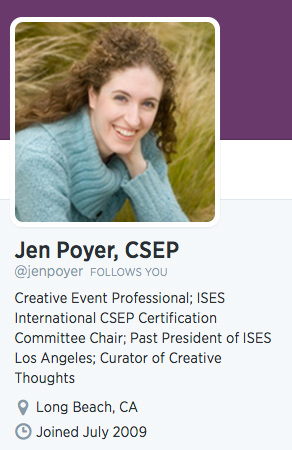 Additionally, I currently sit as the International Chair for the ISES Certification Committee which oversees the development and administration of the Certified Special Events Professional (CSEP) designation. Get involved. When I was looking to get started in the industry, I joined ISES. I knew nobody. I volunteered on committees within my local chapter, and people got to know who I was and what my work ethic was. They knew they could rely on me to do what I said I would and do it right. I then volunteered to work on a committee for an event associated with a big industry conference – met even more people who then introduced me to more people. This industry is about who you know, but it is also about what you know and how you show that you know it. Last year at ISES Live I was honored with the Spirit of Excellence Mettle Attitude Leadership Award. I was totally shocked to receive it and completely honored to be recognized for achieving success against all odds in my volunteer work by my international peers. What is your favourite show/event? Within my organization, my favorite event that we do is a plein air art show that features 10-12 renowned painters from the US. They spend time painting the land we steward to tell our story of conservation and restoration through art. On a larger scale – I have loved the Opening Ceremony for the Olympics (winter or summer) since I was a child. To date, it is something that I schedule time to watch and simply enjoy (with my event professional hat off). Why do you love event hour? It gives me a chance to connect with event professionals from around the world and engage in interesting conversations. Choose three things you would want to take to a desert island. 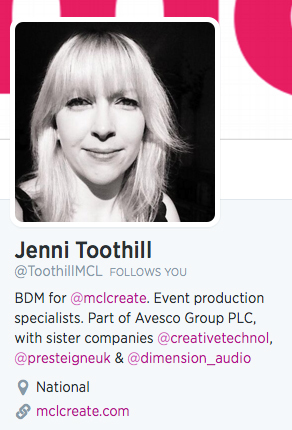 I am the Business Development Manager for mclcreate. 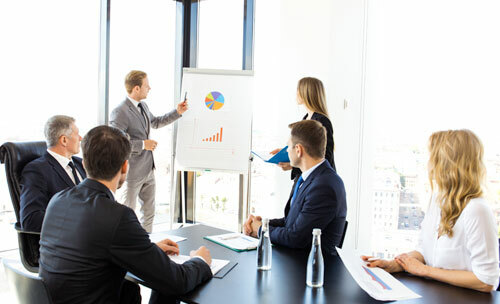 My role is to introduce new and lapsed clients to our company, in the view of supporting their upcoming and annual events with our event services. It is my responsibility to sell and market our services and form long lasting relationships with clients including Venues, End-Clients, Agencies and PCO’s. I think the best advice to give would be to gain as much experience as you can in the industry, volunteer on events, network with key suppliers/ venues/ industry workers and get involved with as many events & exhibitions as you can. 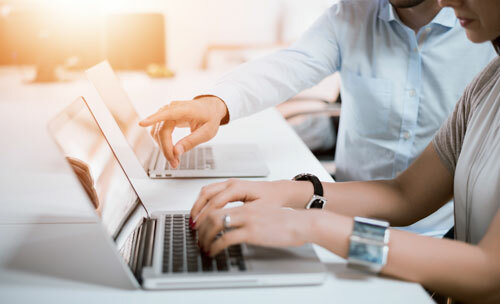 If you are currently doing a degree, go over and above to gain experience as you will find you are in competition with other graduates as well as people who have worked their way up through a vocational route. I fell into the world of Events, I was quite lucky, as I came from a Sales/ Marketing/Media background and it has taken me a while to understand the industry. Winning a large international conference client after a series of pitches. The event is still to happen and I can’t wait to see the finished product. The best show I have worked on has to be the Red Heart United event that mclcreate produced for the Manchester United Foundation. It was a full day’s event with a football match between MUFC and Real Madrid ex-players and we also had performances from JLS, Tinchy Stryder and Amelia Lily! My favourite show to attend would be International Confex. It’s a great place to meet old and new contacts in the industry! #eventhour gives a dedicated place online where you can specifically focus on issues and trends in our industry. It’s great to get together each week and dedicate the time to just focus on networking with likeminded individuals and industry leaders. I also love that it gives ‘newbies to the industry’ somewhere to gain advice from firsthand. Chose three things that you would want to take to a desert island? I am an event and PR manager in a digital agency called Greenlight Digital, mostly working on blogger outreach activity. Get as much experience as you can, don’t be afraid to ask for advice and support. The below was a blog post I was asked to write which explains in more detail! When I worked at Specsavers, I managed the charity of the year partnerships and organizing campaigns and events that raised over £500,000 for Vision Aid Overseas, contributing to the building of a new eye care clinic and teaching hospital in Zambia. What is your favorite show/event? That I have been involved in organizing, would be the Specsavers event, Spectacle Wearer of the Year. From a participant perspective my favourite professional event is The Event Show. I’ve met some great suppliers who I have developed working relationships with. It’s a great forum to bounce ideas off like-minded professionals. The sensible answer is; water, a really good knife and a huge box of matches! 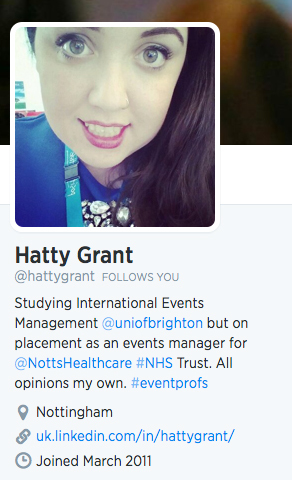 I am currently an events management coordinator for the Learning and Development department of an NHS Trust. My role involves overseeing the organisation of two large-scale training programmes, as well as numerous other smaller events. I see around 700 delegates a month mostly made up of staff from the organisation, but also have a lot of contact with partner organisations such as the University of Nottingham. In addition, I am able to express my passion for marketing, public relations and social media with the creation of various documents and resources for the department as well as running the departmental Twitter. This role is the placement aspect of my BA (Hons) International Events Management at the University of Brighton. Get experience! Even when looking for my placement year, I found that experience was the most important thing employers were looking for – luckily I already had quite a bit but some of my peers at university really struggled due to a lack of experience. Having my colleague going off sick a week before an event for 300 people and managing to pull it off and make my manager proud! I haven’t been to many industry events as it can be quite difficult as a lot of them are in London and I’m currently based in Nottingham. I did go to Confex though, which had some great talks, and it was particularly great to meet up with Caitlin Kobrak, Irina Trofimovskaya and Mark Kao from #eventhour. I love chatting to other event professionals, getting to know them and making contacts which will hopefully be useful in the future! It’s also great to share knowledge and tips, especially as I am yet to graduate and job search. I’ve made some good friends through #eventhour and can’t wait to make more! Something to play music on, bottled water, and probably suncream as I burn really easily! I am the editor of Event Industry News a leading online news portal for the events industry covering festivals, exhibitions, conferences, event technology as well as training and recruitment. 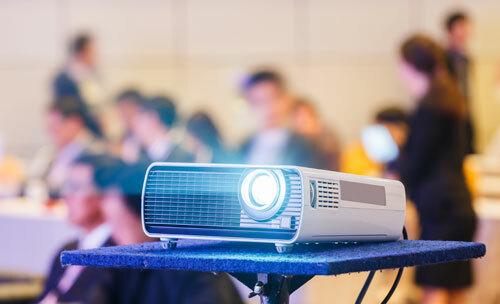 Launching the Event Technology Awards the only awards of its kind to recognize both supplier and organizer for their use of technology at events. My favorite Festival is Parklife it’s a local Manchester event and has grown over the last 4 years from under 10,000 to now 80,000 people in attendance. Senior Journalist and Online Editor. I write for the exhibition portfolio for the leading titles Exhibition News, Exhibition World and Exhibition Bulletin, and for the leading international conference title Conference & Meetings World. I also write for live events magazine Access All Areas, and our open water swimming publication H2Open. 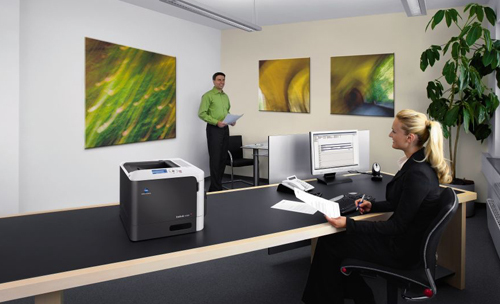 I attend events, and write news and features across a portfolio of online and print products. 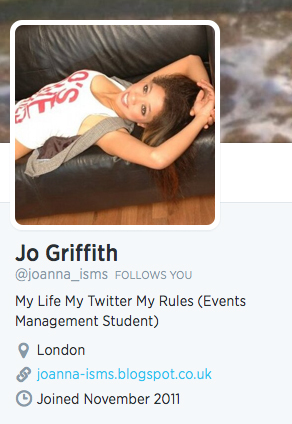 I also help maintain an online presence of the publications on social networks including LinkedIn and Twitter. Network and get to know people. Everyone in events know each other - when you establish strong relationships in this industry you’re set for life. I have two proudest moments and they both happened in the last couple of months. 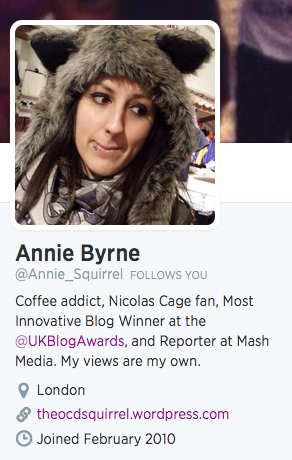 In April I won the Most Innovative Blog at the UK National Blog Awards which was such an achievement. The following month I won Mash Ambassador at our company’s AGM. Definitely Confex. Not because we own it but because it fuses everything and everyone I write about together in one location. From venues to organisers, agencies and suppliers, it gives you the opportunity to talk to people in the couple of days the show runs. It’s refreshing to meet the industry I write about it. It puts you in touch with people in the industry you might not be able to get a hold of during working hours because they’re onsite or busy. It also gives everyone the chance to offer an opinion on a topic of discussion, help promote their business/products and also allows everyone to be more subjective and ‘catch up’. I would take a Stanley-knife, a strong pot (to use for cooking/boiling water) and a guitar. 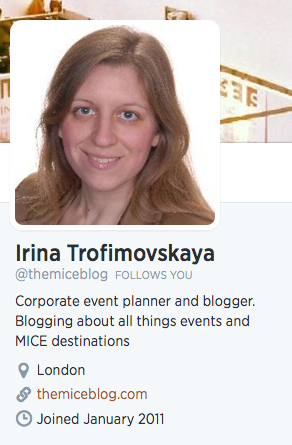 I’m the founder and publisher of the event management blog, The MICE Blog and my audience are mainly corporate event planners and business travellers. Topics include destination management, live entertainment, sustainability, event marketing, event entrepreneurship and more much more! I would strongly recommend to attend industry events and connect with fellow event professionals for two reasons. Firstly, there are panel discussions and presentations by industry leaders who share their experiences and best-practice from which someone who is looking to enter the industry can learn from. Secondly, these events provide great networking opportunity with exhibitors, speakers, agencies, venues etc. Examples of such events are the International Confex and the Square Meal - Venues & Events. Working at the London 2012 Olympics was one of the highlights. I loved my role as part of the hospitality team with Jet Set Sports and got to see the Games. The World Travel Market and the International Confex. It’s a great platform to network with event professionals online. Everyone can ask a question or start a discussion and you can contribute from your experience or learn something new. That’s a tough one, but for sure one of them will be my phone. I am the Managing Director of Events Northern Ltd. I oversee all of our event projects and the company as a whole. I particularly enjoy organizing conferences and I am passionate about the events industry. I set up Events Northern Ltd ten years ago (almost to the day)! 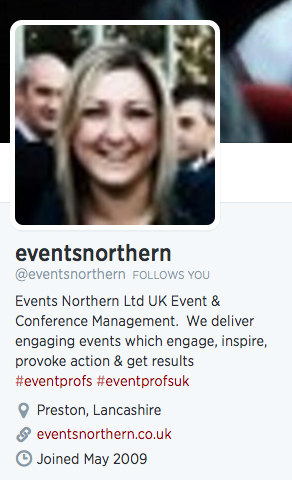 Events Northern is an event and conference management company based in Preston, Lancashire. Experience, experience, experience! 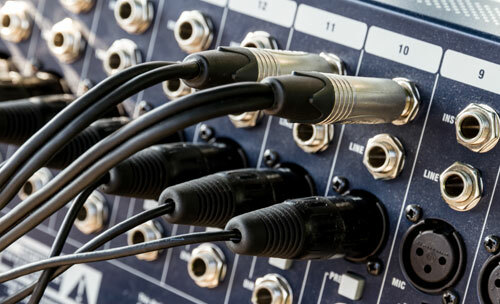 It is a competitive industry so you need to gain as much experience working on as many different events as possible. This is likely to entail volunteering on events to get yourself noticed and to develop your skills and knowledge. Possibly when I was category winner of the handbag.com and Barclays Business Plan Awards shortly after setting up Events Northern. I love V Festival and attend religiously every year (to enjoy, not to work)! 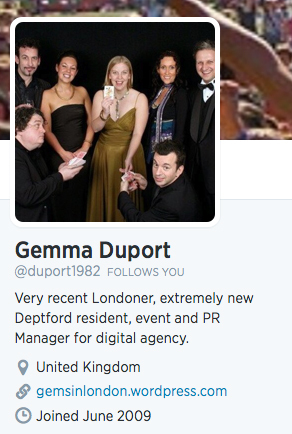 It is great to network virtually through the powers of Twitter with other #eventprofs and to discuss topical issues! Currently I am registered as self-employed and working on a few voluntary projects such as Brockley Max Festival however I have just secured an 8 week placement with the community resource department of Lewisham Council. This is not directly associated with the events industry. The majority of my current work is with Brockley Max Festival; the director is Moira Tait. The internship is with Lewisham Council, though I can also be considered as working for myself due to being registered as self-employed. Experience is just as key as being educated. 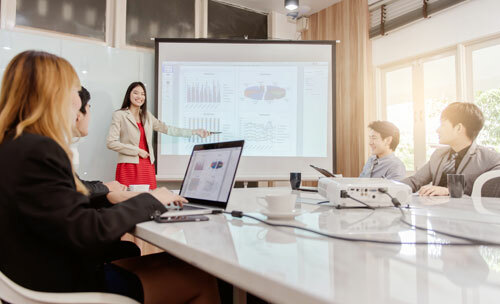 I believe getting a basic knowledge of policies, licenses and structure of events will propel said person into the industry but I do think that getting valuable work experience should be obtained throughout getting this knowledge. Acting Cast Coordinator for 320 5-8 year olds who took part in the NHS/GOSH segment of the London 2012 Olympic Opening Ceremonies. It is a chance to network, get advice and chat to people who are like-minded, who know what you are going through and understand the working lifestyle. Though I am not yet fully immersed in the events industry I feel like I’m kept up to date with what is going on in the industry. I am rentals manager for COS Rent 4 Events, so I am in charge of our rental solutions and making sure the whole process runs smoothly. 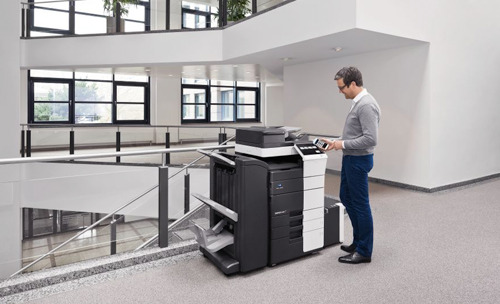 We supply a host of equipment such as laptops, printers, photocopiers and screens - and we constantly strive to match our clients with the right equipment to make sure their conferences, exhibtions and events are a total success. Make lists and prioritise, there's always lots to remember and do! I like event hour because it allows me to interact with others in the industry away from office hours. Its great to hear other peoples success stories and I am a firm believer that everyone has something to offer - so I try to soak up as much information as I can. 2. Lots of booze (Lets turn it into a party boat Adam! 3. A phone with satellite roaming! If you want to get involved with #eventhour search or post with the hash tag this Weds 9pm - 10pm GMT! If you cannot wait unti Wednesday you can also view past #eventhour conversations here.